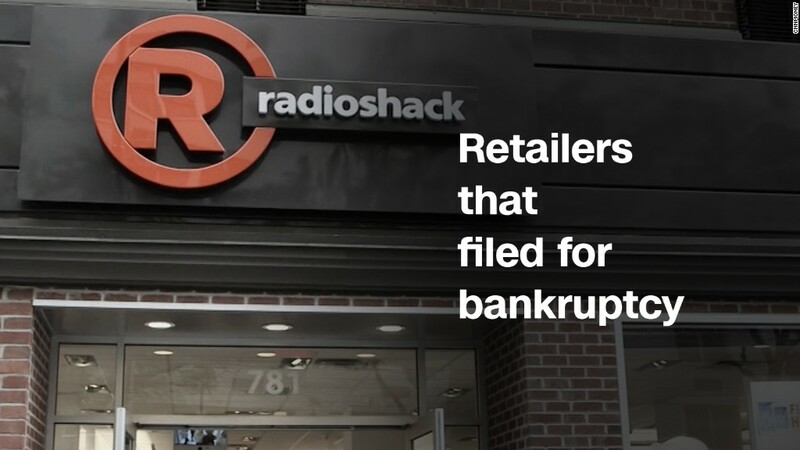 It's obviously a terrible time to be a brick-and-mortar retailer. But Wall Street is betting that things will get even worse for department stores and retailers. Investors are placing huge wagers that the one-two punch of Amazon (AMZN) and fast fashion will knock out more and more stores in the months and years to come. Not surprisingly, retail is the most hated industry in the entire stock market. That's based on Bespoke Investment Group stats on the average percentage of shares that investors are betting against, or shorting. Unfortunately for retail employees and investors, that's been a winning trade. Anemic sales have forced hundreds of store closures, countless retail bankruptcies and tens of thousands of layoffs. Along the way, retail stocks have gotten crushed. Consider that two-thirds of Macy's (M) market value has vanished over the past two years, and JCPenney (JCP) is down 90% since early 2012. Sears (SHLD), which also owns Kmart, has warned there's "substantial doubt" it will survive. Shorting a stock typically means borrowing it from a broker and immediately selling it, in the hopes it can be bought back at an even lower price. It's a very risky strategy that can backfire very quickly if the stock keeps rising. On average, 15.6% of the shares among retailers are being shorted. That's considered a very high level. These trends have made Wall Street especially bearish about multiline retailers, which include department stores like Macy's and general merchandise chains such as Kohls (KSS). Bespoke said that shorting among this group has more than doubled since the end of last year to "absurdly high" levels that are similar to what banks experienced "during the height of the financial crisis." So which retailers are investors most worried about? Wall Street is betting most heavily against the following stocks: Dillard's (DDS), Fred's (FRED), Big 5 Sporting Goods (BGFV), JCPenney, Big Lots (BIG), Urban Outfitters (URBN), Tailored Brands (TLRD), Childrens Place (PLCE), Abercrombie & Fitch (ANF) and GameStop (GME). Of course, just because investors are betting against a stock doesn't mean it will go down. Just ask the countless bears circling Tesla (TSLA). Elon Musk has even teased his critics, joking on Twitter in April on Twitter about "stormy weather in Shortville." And the bets against retail may indicate the death-of-retail trade has become too "crowded." Often when many investors expect something to happen, it doesn't. There are also some bright spots in the retail landscape. Consider Best Buy. Some feared the electronics chain would get killed by Amazon, but this year Best Buy (BBY) stock (up 37%) is actually beating the Jeff Bezos juggernaut.